Executive Assistant on Communications to the Governor of Delta State, Dr Fred Oghenesivbe, says the achievements of the Okowa administration in three years are glaring, pointing out that they make it politically and morally expedient to re-elect the governor in 2019. Oghenesivbe spoke in a congratulatory message to Deltans on the third anniversary of the Okowa government. 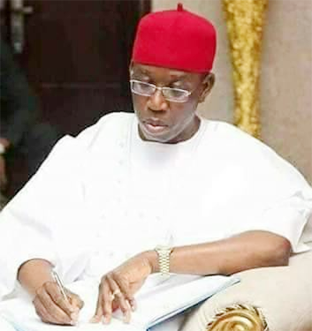 Oghenesivbe, a fellow of the Civilian Institute of Democratic Administration (CIDA) and member of the International Communication Association (ICA), posited that Okowa represents a class of leaders which is why Delta shall continue to experience giant strides in socio-economic remodelling as well as advancement in all sectors articulated in the Smart Agenda document. The post Okowa administration in three years glaring – Fred Oghenesivbe appeared first on Vanguard News.